Dr. Jacob Dominik completed his Bachelor of Science in cell biology and neuroscience in 2001 at McGill University in Montreal, Canada and his medical doctorate in 2005 at the Jagiellonian University in Krakow, Poland. 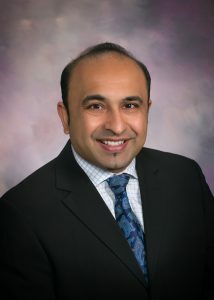 He completed his residency in neurology in 2009 at the Mayo Clinic in Jacksonville, Florida and his fellowship in sleep medicine in 2010 at the Mayo Clinic in Rochester, Minnesota. Dr. Dominik is board-certified in both neurology and sleep medicine. He’s been on staff at Sleep Insights since completion of his training and in 2015 became Sleep Insights’ Medical Director. Dr. Dominik diagnoses and treats adult and pediatric (ages 5+) patients for all sleep disorders. Some of the most common disorders seen are: sleep-disordered breathing (sleep apnea), insomnia, hypersomnias (narcolepsy), sleep-related movement disorders (such as restless legs syndrome) and parasomnias (sleepwalking). He also provides interpretations for Sleep Insights’ sleep studies and home sleep apnea tests (HSATs). Dr. Dominik sees patients at the Rochester and Batavia locations. 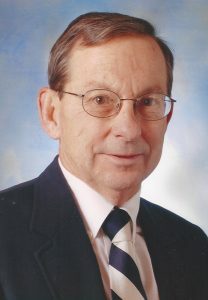 Dr. Kenneth Halliwell completed his Bachelor of Science at New York’s Niagara University in 1999, receiving his medical doctorate from the SUNY Buffalo School of Medicine in 2003. His residencies in neurology (2007) and sleep medicine (2008) were completed at SUNY Buffalo’s School of Medicine and Biological Sciences. Dr. Halliwell is a board-certified sleep specialist and neurologist, and established Niagara Neurology in 2010. Dr. Halliwell joined Sleep Insights in 2015. He diagnoses and treats patients (ages 14+) for all sleep disorders; some of the most common disorders seen are: sleep-disordered breathing (sleep apnea), insomnia, hypersomnias (narcolepsy), sleep-related movement disorders (such as restless legs syndrome) and parasomnias (sleepwalking). He also provides interpretations for Sleep Insights’ sleep studies and home sleep apnea tests (HSATs). Dr. Halliwell sees patients at the Geneseo, North Buffalo, and Niagara Falls locations. Dr. Kuntal Avashia completed his Bachelor of Science from the University of California, Los Angeles in 2003 and received his medical doctorate from the American University of Caribbean School of Medicine in St. Maarten, Netherland Antilles in 2010. Dr. Avashia is board-certified internal medicine and completed his internship and residency at SUNY Downstate Hospital at University Hospital of Brooklyn in Brooklyn, New York. In 2014, he completed his sleep medicine fellowship at Winthrop University Hospital in Mineola, NY. Dr. Avashia joined Sleep Insights in 2015 as Olean site's Medical Director. He diagnoses and treats adult and pediatric (ages 5+) patients for a variety of sleep disorders. Some of the most common disorders seen are: sleep-disordered breathing (sleep apnea), insomnia, hypersomnia (narcolepsy), sleep-related movement disorders (e.g. restless legs syndrome) and parasomnia (sleepwalking). He sees patients at the Olean location. Dr. Alan Aquilina graduated from the University of Rochester School of Medicine and Dentistry and completed his internal medicine residency at Strong Memorial Hospital. Dr. Aquilina continued with subspecialty training in critical care medicine and pulmonary disease at Strong Memorial Hospital. He has actively been involved in sleep medicine since 1979. Dr. Aquilina is a board-certified sleep sleep specialist and internist with extensive clinical experience. He joined Sleep Insights in 2016, diagnosing and treating patients for all sleep disorders. Some of the most common disorders seen are: sleep-disordered breathing (sleep apnea), insomnia, hypersomnias (narcolepsy), sleep-related movement disorders and parasomnias (sleepwalking). He sees patients at the Rochester location. Dr. Kenneth Murray completed his Bachelor of Science in engineering science at the State University of New York at Buffalo, where he also received his medical degree. He completed his residency in neurology at the Dent Neurologic Institute in Buffalo, NY and his fellowship in EEG/Epileptology in 1988 at the University of Texas, Southwest Medical Center in Dallas, Texas. Dr. Murray is board-certified in both neurology and sleep medicine. Dr. Murray joined Sleep Insights in 2018; he diagnoses and treats patients (ages 12+) for all sleep disorders. Some of the most common disorders seen are: sleep-disordered breathing (sleep apnea), insomnia, hypersomnias (narcolepsy), sleep-related movement disorders (such as restless legs syndrome) and parasomnias (sleepwalking). He also provides interpretations for Sleep Insights’ sleep studies and home. He sees patients at the Rochester and Springville locations. Mary Ellen Alescio received her Bachelor of Science (RN) in 1993 and her Master of Science (FNP) in 2006 from the University of Rochester. As a Nurse Practitioner, she has provided patient care in the fields of dermatology, urology, allergy and immunology, family practice/internal medicine, and endocrinology. Mary Ellen joined Sleep Insights in 2015. She diagnoses and treats patients (ages 18+) for all sleep disorders. Some of the most common disorders seen are: sleep-disordered breathing (sleep apnea), insomnia, hypersomnias (narcolepsy), sleep-related movement disorders (such as restless legs syndrome) and parasomnias (sleepwalking). Mary Ellen currently provides sleep medicine consultations and patient care at the Rochester location. Heather Wernle received her Bachelor of Science in Physician Assistant Studies from the Rochester Institute of Technology in 2005. She has clinical experience in urology, surgical oncology, ENT (ear, nose, throat), hematology/oncology, and colorectal oncology. Prior to receiving her Physician Assistant licensure, Heather was a paramedic and tissue recovery specialist. Heather joined Sleep Insights’ staff in 2017. She diagnoses and treats patients (ages 18+) for all sleep disorders. Some of the most common disorders seen are: sleep-disordered breathing (sleep apnea), insomnia, hypersomnias (narcolepsy), sleep-related movement disorders (such as restless legs syndrome) and parasomnias (sleepwalking). Heather currently provides sleep medicine consultations and patient care at the Rochester location. Cherie received her Masters of Science in Nursing from the State University of New York at Binghamton in 2013. She has clinical experience in primary care and acute walk-in care. Prior to receiving her Nurse Practitioner licensure, Cherie was an RN for several years and worked in post-partum/special care nursery. Cherie joined Sleep Insights’ staff in 2018. She diagnoses and treats patients (ages 18+) for all sleep disorders. Some of the most common disorders seen are: sleep-disordered breathing (sleep apnea), insomnia, hypersomnias (narcolepsy), sleep-related movement disorders (such as restless legs syndrome) and parasomnias (sleepwalking). Cherie currently provides sleep medicine consultations and patient care at the Rochester location. Andrea Laudisio received her Bachelor of Science in Physician Assistant Studies in 2002 from D’Youville College in Buffalo. She has clinical experience in neuropsychiatry, neurology, and sleep medicine. Andrea comes to Sleep Insights with over nine years of sleep medicine experience. In addition, she was actively involved in clinical research on dementia, mood disorders, and VNS/TMS therapies. Andrea joined Sleep Insights’ staff in 2019. She diagnoses and treats patients (ages 18+) for all sleep disorders. Some of the most common disorders seen are: sleep-disordered breathing (sleep apnea), insomnia, hypersomnias (narcolepsy), sleep-related movement disorders (such as restless legs syndrome) and parasomnias (sleepwalking). Andrea currently provides sleep medicine consultations and patient care at the Batavia and North Buffalo locations. Dana Heusler received her Masters of Science in Nursing in St. John Fisher College in Rochester, NY. She comes to Sleep Insights with clinical experience in pulmonary and sleep medicine. Prior to receiving her Nurse Practitioner licensure, Dana was an RN and work in adult and pediatric cardiac intensive care, care management, and emergency medicine. Dana joined Sleep Insights’ staff in 2019. She diagnoses and treats patients (ages 18+) for all sleep disorders. Some of the most common disorders seen are: sleep-disordered breathing (sleep apnea), insomnia, hypersomnias (narcolepsy), sleep-related movement disorders (such as restless legs syndrome) and parasomnias (sleepwalking). Dana currently provides sleep medicine consultations and patient care at the Rochester location. Jeffrey O. Dann is an experienced business and healthcare executive with over 35 years’ involvement in the medical industry. 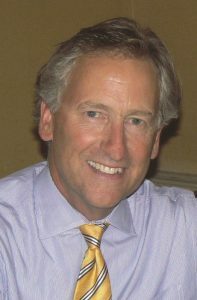 He is currently the owner and operator of several healthcare related businesses: Sleep Insights, a regional sleep management services organization in Upstate New York; Bensons, a durable medical equipment and CPAP supply company; Transource, a medical transcription company; Vital Alerts+, a telehealth software development company; and Pain Insights, a pain management services company. Mr. Dann has also served as an executive mentor and investor in several life sciences startup companies in Buffalo, NY. Mr. Dann has an undergraduate degree in accounting from Niagara University and obtained his CPA while working for Price Waterhouse. He is a 2009 graduate of the Center for Entrepreneur Leadership (CEL) program through the SUNY at Buffalo School of Management. In addition, Mr. Dann achieved the Certified Valuation Analyst (CVA) certification in April 2016. He has served on the Audit Committee of the American Academy of Neurology, the Practice Development Committee of the American Academy of Sleep Medicine and the Audit and Finance Committee of the Medical Group Management Association. Mr. Dann is also a certified medical practice executive and Fellow of the American College of Medical Practice Executives (FACMPE). 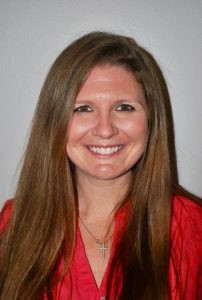 Valerie is Sleep Insights’ Vice President of Operations, overseeing technical and business operations for all locations. She received her Bachelor of Arts from the State University of New York at Geneseo, followed by a Masters in Business Administration Health Care Management from the University of Phoenix. 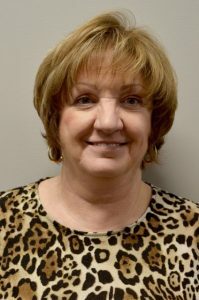 She interned with New York State’s Police Forensic Toxicology Department and worked as a Clinical Laboratory Technologist at Dansville’s Noyes Memorial Hospital prior to joining Sleep Insights in 2006. 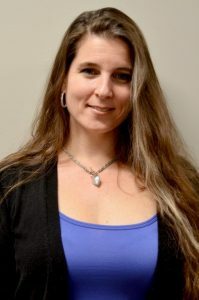 A registered Polysomnographic Technologist, Valerie served as Sleep Insights’ Technical Director since 2009 and was appointed to Vice President of Operations in 2015.